On Easter Sunday, 1929, the legendary public-relations man Edward L. Bernays rounded up ten carefully chosen women, put cigarettes in their hands, and sent them down Fifth Avenue in what was billed as the Torches of Freedom march. The marchers were given detailed instructions, including when and how their cigarettes should be lit. Spokeswomen were enlisted to describe the protest as an advance for feminism. Photographers were hired to take pictures. It was an entirely contrived event that nonetheless looked so “real” that the next day it made front-page headlines across the country, prompting a debate over whether women should be allowed to smoke as freely as men, and–some historians believe–forever changing the social context of cigarettes. What Bernays never told anyone was that he was working for the American Tobacco Company. It is difficult to appreciate how brazen Bernays’s ruse was at the time. In the twenties, the expectation was that if you were trying to sell people something–even if you were planning to deceive them in the process–you had at least to admit that you were trying to sell them something. Bernays was guided by the principle that this wasn’t true: that sometimes the best way to sell something (cigarettes, say) was to pretend to be selling something else (freedom, say). Bernays helped the brewing industry establish beer as “the beverage of moderation.” For Dixie cups, he founded the Committee for the Study and Promotion of the Sanitary Dispensing of Food and Drink. For the Mack truck company, he drummed up national support for highway construction through front groups called the Trucking Information Service, the Trucking Service Bureau, and Better Living Through Increased Highway Transportation. In a torrent of books and articles (including one book, “Crystallizing Public Opinion,” that was found in Joseph Goebbels’s library) he argued that the P.R. professional could “continuously and systematically” perform the task of “regimenting the public mind.” He wasn’t talking about lying. He was talking about artful, staged half-truth. It’s the kind of sly deception that we’ve come to associate with the Reagan Administration’s intricately scripted photo ops (the cowboy hats, the flannel shirts, the horse), with the choreographed folksiness of Clinton’s Town Hall meetings, with the “Wag the Dog” world of political operatives, and with the Dilbertian byways of boardroom euphemism, in which firing is “rightsizing” and dismembering companies becomes “unlocking shareholder value.” Edward L. Bernays invented spin. Today, we’re told, Bernays’s touch is everywhere. The advertising critic Randall Rothenberg has suggested that there is something called a Media-Spindustrial Complex, which encompasses advertising, P.R., lobbying, polling, direct mail, investor relations, focus groups, jury consulting, speechwriting, radio and television stations, and newspapers–all in the business of twisting and turning and gyrating. Argument now masquerades as conversation. Spin, the political columnist E.J. Dionne wrote recently, “obliterates the distinction between persuasion and deception.” Should P.R. people tell “the whole truth about our clients? No sirree!” Thomas Madden, the chairman of one of the largest P.R. firms in the country, declares in his recent memoir, entitled “Spin Man.” In the best-seller “Spin Cycle: Inside the Clinton Propaganda Machine,” Howard Kurtz,the media critic for the Washington Post, even describes as spin the White House’s decision in the spring of 1997 to release thousands of pages of documents relating to the Democratic fund-raising scandal. This was the documentation that the press had been clamoring for. You might have thought that it was full disclosure. Not so, says Kurtz, who dubs the diabolical plan Operation Candor. In playing the honesty card, he argues, the White House preëmpted embarrassing leaks by congressional investigators and buried incriminating documents under an avalanche of paper. Of course, not releasing any documents at all would also have been spin (Stonewall Spin), and so would releasing only a handful of unrepresentative documents (Selection Spin). But, if you think that calling everything “spin” renders the term meaningless (if this is all spin, then what is not spin? ), you’ve missed the point. The notion that this is the age of spin rests on the premise that everything, including the truth, is potentially an instrument of manipulation. The curious thing about our contemporary obsession with spin, however, is that we seldom consider whether spin works. We simply assume that, because people are everywhere trying to manipulate us, we’re being manipulated. Yet it makes just as much sense to assume the opposite: that the reason spin is everywhere today is that it doesn’t work–that, because the public is getting increasingly inured to spin, spinners feel they must spin even harder, on and on, in an ever-escalating arms race. The Torches of Freedom march worked because nobody had ever pulled a stunt like that before. Today, those same marchers would be stopped cold at ten feet. (First question at the press conference: Who put you up to this?) Once spun, twice shy. When, last week, the Clinton spokesman Rahm Emanuel called Steven Brill’s revelations about Kenneth Starr’s leaking to the press a “bombshell,” that was spin, but we are so accustomed to Rahm Emanuel’s spinning that the principal effect of his comment was to prompt a meta-discussion about, of all things, his comment. (“If the wonderful word oleaginous didn’t exist,” Frank Rich wrote in the Times, “someone would have to invent it to describe Rahm Emanuel.”)Emanuel might have been better off saying nothing at all, except that–under the Howard Kurtz rule–this, too, would have been decoded as an attempt to spin us, by ostentatiously letting the Brill revelations speak for themselves: Silent Spin, perhaps. Spin sets into motion a never-ending cycle of skepticism. This is the kind of slick move that makes Bernays such an inspiration for contemporary spin meisters. (Tye, admiringly, calls it “infinitely more effective” than simply promoting books one by one, in the conventional way.) But wait a minute. Did Bernays really reach all these architects and contractors? If so, how? Wouldn’t there have been thousands of them? And, if he did, why would they ever have listened to him? (My limited experience with contractors and architects is that advice from someone outside their field has the opposite of its intended effect.) And, even if we assume that he did cause a surge in bookshelf building, is there a magical relationship between built-in shelves and the purchase of books? Most of us, I think, acquire books because we like books and we want to read them–not because we have customized space to fill in our apartments. The best way to promote cigarettes probably isn’t to subsidize ashtrays. People who worry about spin have bought into a particular mythology about persuasion–a mythology that runs from Tom Sawyer to Vance Packard–according to which the best way to persuade someone to do something is to hide the act of persuasion. The problem is, though, that if the seller is too far removed from the transaction, if his motives are too oblique, there’s a good chance that his message will escape the buyer entirely. (People don’t always think books when they think shelves.) In fact, successful persuasion today is characterized by the opposite principle–that it is better to be obvious and get your message across than it is to pull invisible strings and risk having your message miss the mark. Bernays sacrificed clarity for subtlety. Most effective advertising today sacrifices subtlety for clarity. Recently, at a Robert Wood Johnson Foundation conference on how to fight teen-age smoking, one prominent California ad executive talked about the reason for the success of the Marlboro and the Camel brands. It was not, he said, because of any of the fancy behind-the-scenes psychological tricks that Big Tobacco is so often accused of by its critics. On the contrary. The tobacco companies, he said, understand what Nike and Coca- Cola understand: that if they can make their brands ubiquitous–if they can plaster them on billboards, on product displays inside grocery stores, on convenience-store windows, on the sides of buildings, on T-shirts and baseball caps, on the hoods and the roofs of racing cars, in colorful spreads in teen magazines–they can make their message impossible to ignore. The secret is not deception but repetition, not artful spinning but plain speaking. There’s a second, related difficulty with spin–one that people in the marketing business call the internal-audience problem. Let’s say you are the head of the ad agency that has the Burger King account. Your ultimate goal is to make ads that appeal to the kind of people who buy Burger King burgers. But, in order to keep Burger King’s business and get your commercials on the air, you must first appeal to Burger King’s marketing executives, who are probably quite different in temperament and taste from the target Burger King customer. Ideally, your ads will appeal to the folks at Burger King because they appeal to the Burger King customers; that is, the internal audience will be pleased because the external audience is pleased. But it has always been extremely difficult to measure the actual impact of a television commercial (especially, as is the case with many ads, where the aim is simply to maintain the current market share). Unless you’re careful, then, you may start creating ads that appeal only to your internal audience, with the unfortunate result that the relationship between ad agency and ad buyer becomes a kind of closed loop. The internal audience supplants the real audience. The internal-audience effect can be seen in all sorts of businesses. The reason so many magazines look alike is that their Manhattan-based editors and writers end up trying to impress not readers but other Manhattan-based editors and writers. It was in an effort to avoid this syndrome that Lincoln Mercury recently decided to move its headquarters from Detroit to California. The company said that the purpose was to get closer to its customers; more precisely, the purpose was to get away from people who weren’t its customers. Why do you think it took so long to get Detroit to install seat belts? Because to the internal audience a seat belt is a cost center. It is only to the external audience that it’s a life saver. Edward Bernays was a master of the internal audience. He was intellectually indefatigable, a diminutive, mustachioed, impatient dervish. Larry Tye writes that as Bernays sat in his office “four or five young staff members, their chairs pulled close, would have been listening to him spew forth a stream of thoughts about peddling Ivory or keeping Luckies number one. With each new idea he’d scratch out a note, wad it up, and toss it on the floor.” Afterward, the floor looked blanketed by snow. But it was all an inside joke. The wadded-up pieces of paper were, Tye quotes one former employee as saying, “a trick to demonstrate all the ideas he was generating.” To promote bacon, Bernays persuaded prominent doctors to testify to the benefits of a hearty breakfast. His client, a bacon producer, no doubt regarded this as a dazzling feat. But does a hearty breakfast mean bacon? And does bacon mean his client’s bacon? Bernays’s extraordinary success is proof that in the P.R. world, where no hard-and-fast measures exist to gauge the true effectiveness of a message, he could prosper by playing only to his internal audience. But often the very things that make you successful with that audience prevent you from being successful with your real audience. To Simon & Schuster–to people in the book business–bookshelves really do mean books. To the rest of us, a bookshelf may be no more than a place to put unopened mail. This is the mistake Howard Kurtz makes in “Spin Cycle.” His book is a detailed account of how in the year following the 1996 elections Clinton’s spokesman Mike McCurry successfully spun the White House press corps during the fund-raising and Whitewater scandals. Kurtz tries to argue that this, in turn, reflects Clinton’s ability to manage his image with the wider public–with the external audience. In fact, “Spin Cycle” reads more like an extended treatise on the internal-audience problem, a three-hundred-page account of how McCurry’s heroic attempts to spin the White House press corps had the effect of, well, spinning the White House press corps. Let’s deconstruct this episode. Braver wanted to write a story that said, in effect, The documents the White House said it is handing over to the Justice Department today are, I have learned, being handed over because of a subpoena. Instead, she was forced to say, The documents that the White House is handing over to the Justice Department today are, the White House said, being handed over because of a subpoena. To the internal audience–to Braver and her colleagues–there is a real distinction between Statements A and B. In the first case, the White House is seen as reluctant to disclose the existence of a subpoena. In the second, it is not. More important, in the first case it is clear that the subpoena story is the result of the efforts of Rita Braver–of the efforts, in other words, of the White House press corps–and in the second that role has been erased. This distinction also matters to Clinton, McCurry’s other internal audience. But why does this matter to the rest of us? The news of interest to the external audience is not the nuance of the White House’s reaction to a subpoena, or the particular reporting talents of Rita Braver; it is the fact of the subpoena itself. Kurtz is entirely correct that the Braver episode is an example of the ascendancy of spin. But the only thing that’s being spun here is ten square blocks in the center of Washington, D.C. This is dog-whistle politics. The irony of Edward L. Bernays’s enshrinement in the spin literature is that, in fact, he is not the father of contemporary persuasion. That honor belongs–if it belongs to anyone–to the wizard of direct marketing, Lester Wunderman. Wunderman was Bernays’s antithesis. He was born in a tenement in the East Bronx, far from the privilege and wealth of Bernays’s Manhattan. While Bernays was sending women marching down Fifth Avenue, Wunderman was delivering chickens for Izzy, a local kosher butcher. He started off in advertising making twenty-five dollars a week at Casper Pinsker’s mail-order ad agency, in lower Manhattan, and in one of his first successes he turned the memoirs of Hitler’s personal physician into a wartime best-seller by promoting them on the radio with some of the first-ever infomercials. 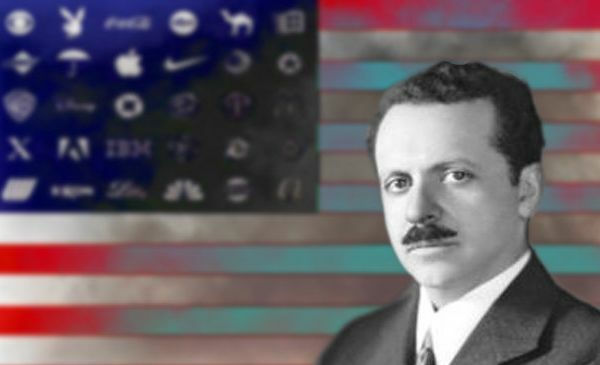 If Bernays was the master of what Tye calls Big Think–splashy media moments, behind-the-scenes manipulations, concocted panels of “experts”–Wunderman, in the course of his career, established himself as the genius of Little Think, of the small but significant details that turn a shopper into a buyer. He was the person who first put bound- in subscription cards in magazines, who sold magazines on late-night television with an 800 number, who invented the forerunner of the scratch-‘n’-sniff ad, who revolutionized the mail-order business, and who, in a thousand other ways, perfected the fine detail of true salesmanship. In “Being Direct,” his recent autobiography, Wunderman relates the story of how he turned the Columbia Record Club into the largest marketing club of its kind in the world. It’s a story worth retelling, if only because it provides such an instructive counterpoint to the ideas of Edward Bernays. The year was 1955. Wunderman was already the acknowledged king of mail order, long since gone from Casper Pinsker, and by then a senior vice-president at the ad firm Maxwell Sackheim & Company, and Columbia came to him with a problem. Independent mail-order companies, using the model of the Book-of-the-Month Club, were starting to chip away at retail sales of records. (In those days, record companies sold records through dealers, the same way that car companies sell cars.) To stem the tide, Columbia wanted to start a club of its own. What I had discovered in Italy was antipasto…. The idea of so many choices intrigued me, and the larger the selection, the longer the line at the antipasto table. Restaurant owners seemed to know this, because antipasto carts and tables were usually displayed prominently at the entrance. I made a point of counting the number of individual antipasto choices people took in relation to the number that were offered, and I discovered that they helped themselves to about the same number of dishes no matter how many were set in front of them. Wunderman rushed back to New York with the solution. The free records Columbia offered to new members were “antipasto.” But three free records from a list of twelve weren’t enough, Wunderman argued. That wasn’t a true antipasto bar. He persuaded Columbia that it should test an ad that increased the choice from twelve records to thirty- two. The response rate doubled. (Today, Columbia members get to choose from more than four hundred albums.) Columbia scrapped its old ad run, and replaced it with the antipasto campaign. The year 1958 was the best one in the club’s history. All these strategies amount to a marketing system of extraordinary sensitivity. Answer cards and gold boxes and antipasto and the other techniques of Little Think are sophisticated ways of listening, of overcoming the problems of distance and distortion which so handicap other forms of persuasion. There are times when we all get annoyed at the business reply cards that Wunderman invented. But at a conceptual level, surely, those cards are a thing of beauty. To the consumer–to us–they offer almost perfect convenience. Is there an easier way to subscribe to a magazine? To the client, they offer ubiquity: it knows that every time a magazine is opened a response card falls on someone’s lap. And to the ad agency they offer a finely calibrated instrument to measure effectiveness: the adman can gauge precisely how successful his campaign is merely by counting the number of cards that come back. Much of the apparatus of modern-day marketing–the computer databases, the psychographic profiles, the mailing lists, the market differentiations, the focus groups–can be seen, in some sense, as an attempt to replicate the elegance and transparency of this model. Marketers don’t want to spin us. They want to hold us perfectly still, so they can figure out who we are, what we want, and how to reach us. He was having his own conversation with America, one that, if all went well, sailed over the heads of the journalists, who were nothing but theater critics and did little to shape public opinion. Baer saw the phenomenon time and again. When Clinton unveiled his plan for hope scholarships, which would give parents of college students up to $1500 a year in tax credits, the media verdict was swift: cynical political ploy to pander to middle-class voters. But what the public heard was that Clinton was concerned about the difficulty of sending kids to college and was willing to help them with tax credits. Voters got it. They liked constructive proposals and hated partisan sniping. But Kurtz doesn’t believe Baer, and why would he? The spin fantasy offers a far more satisfying explanation for the world around us. Spin suggests a drama, a script to decode, a game played at the highest of levels. Spinning is the art of telling a story, even when there is no story to tell, and this is irresistible (particularly to journalists, who make a living by telling stories even when there is no story to tell). In truth, the world of persuasion is a good deal more prosaic. Ideas and candidacies–not to mention albums–are sold by talking plainly and clearly, and the louder and faster the whirring of the spinners becomes, the more effective this clarity and plainspokenness will be. We think we belong to the world of Edward L. Bernays. We don’t. We are all Wundermanians now. Thank you for an extraordinarily insightful and entertaining post. This is nothing short of spectacular writing. I’m going to be doing a lot of thinking about the substance and character of the meta-conversations that occur as a result of communications strategy. I wonder about the “authenticity dimension” in this conversation (both true and real). Can we expect to engage publics in meaningful consideration when truth, itself, is harnessed to purposes that serve deception? I wonder. This elegant piece is a perfect example of what Malcolm mentioned in the article… “Marketers don’t want to spin us. They want to hold us perfectly still, so they can figure out who we are, what we want, and how to reach us.” Malcolm holds us perfectly still and explains spin and direct marketing like he is guiding youngsters out of danger without alarming them. I love his writing style and his dead on perspectives. This is also a great example of calm, knowledgeable writing that should reflect the calm knowledgeable marketing and branding that companies should engage in. Even though it looks like this was written during the Clinton administration, it is even more relevant now. Social marketing is confirming much of what Malcolm discusses here. Thanks Malcolm for being that voice of reason in a sales driven and spin engineered world. From Marketers For Charity contributor Malcolm Gladwell.